They say that even water has taste, so given the more than 500 known aromas, can wine be any different? The question is, what do we taste, where does taste come from, and how do wine aromas differ from one another? When coffee addicts sit and gossip during a coffee klatch, the chances of them discussing how the coffee tastes are slim. But when wine lovers get together, at some point they almost always start talking about the aromas in wine. The variety of aromas is impressive, and genuine wine lovers passionately study aromas their entire lives. For what other foods and beverages are sensory seminars and even aroma sets available that people can use to train their senses of smell and taste? Most people know that our tongues can only perceive a few taste components (sweet, sour, salt, bitter and “umami”). However, nearly everything that we think we taste we are actually smelling. That is why wine lovers create a stream of air by famously slurping their wine. Doing so transports the aroma to the olfactory mucosa. Actually, wine aromas can only be perceived in the air. For this reason, there are a variety of specially shaped glasses designed to let the aromas develop. But actually perceiving them is extremely subjective. Personal experience and preferences play a role here, as do moods and even the time of day. Which is why experts generally taste wine in teams to balance out their perception and judgment. Professionals differentiate between various types of aromas: The primary aroma is determined by the type of wine, the secondary aroma is produced during fermentation, and the tertiary aroma is created during aging in the wooden barrel or the bottle and is the result of chemical processes. This last type of aroma in particular can affect the character of the wine over time. 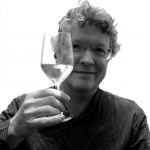 Anyone who wants to familiarize themselves with the basics of winetasting can do so at the SIMEI Sensory Bar at this year’s SIMEI@drinktec in Munich. For the first time ever, this year’s drinktec is being held in conjunction with SIMEI, the world’s leading trade fair for wine technology. A special exhibition sector will allow international representatives of the wine industry to present products related to the production, filling and packaging of wine. How should a wine taste? In most cases, the answer is “good.” But when is a wine “good”? First, it must be flawless. If a wine is poorly made from a technical standpoint or “tainted” (the best example is the famous cork taint), it will also be noticeable to laymen. Second, it must have a taste that is typical for its origin or type. Naturally, evaluating this takes experience that you can only get by frequently tasting and comparing wines. In Germany, a quality wine that does not satisfy both of these prerequisites is not issued an official quality control number. The third criterion is most important: Is the wine harmonious, i.e. are all of its components in balance with one another? Elements that come into play here include aromas that are typical to the wine type such as “red berries” (in red wines) or “peach nuances” (in Riesling) as well as components such as sweet and sour and, in the case of red wines, tannins. The intensity and length of the sensations are quality criteria that full-bodied, alcohol-rich wines are generally better at satisfying. That is why late vintage wines and wines that come from low-yield vines are more expensive. But are they also “better”? To judge that, another aspect has to be taken into account. The occasion. If you are spending a summer’s day outdoor on the patio, a mature, complex wine may not be “better” than a fresh, young, fruity-toned one. In other words: A wine is good when it has a convincing taste and is perceived as consistent and appropriate for the moment it is to be enjoyed. The art and the allure are finding that wine!